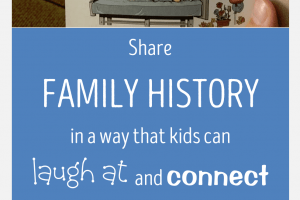 I have a great family history activity for children to share today – teaching children to find names for the temple by doing family history research with historical records! The activity was created by Alana Anderson. Alana lives in an LDS stake near me in Tucson. She is an activity day leader and did the Finding Franklin Time Machine Activity with her group. 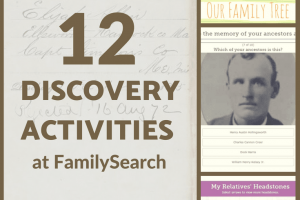 It went so well, that she decided to create a “Family History Mystery” activity to take it a step further with her own family, and share it at her stake activity days event. The girls and their parents sat down at tables and used a worksheet with hints and transcribed records to discover more about Alana’s Grandpa Art and his mother Anna. 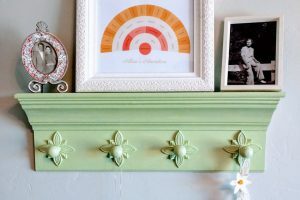 Starting with Art and Nora Coffey, pictured below, children can read the transcribed census and marriage records to find out more about Art’s mother Anna.